Clients and BigLaw firms don’t see eye-to-eye on innovation is based on my reflection following a recent social media exchange about BigLaw firms and innovation. Dan Linna of Michigan State University recently introduced a Legal Services Innovation Index which documents innovation in law firms. Dan’s data can be cut by country, practice area, type of innovation, firm size, and individual firms. The UK is strikingly ahead and the US lags. The UK is a saturated market that has been partially de-regulated since 2007 so, to survive and prosper, firms seem to have taken to innovation earlier than elsewhere. Australia punches well above its weight, probably because it’s also a hyper-competitive market that is less regulated than the United States. In the US, there is yet to be a clear definition of unauthorised practice of law. This is important because venture capitalists recognise the massive opportunity to serve poorly met needs, but can be prosecuted if deemed to be practising law without a licence. Yet those whose opinions matter most – the clients of BigLaw firms – are not happy with the “innovation” they are being offered. US corporate counsel have not seen much change. 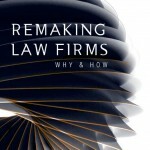 There was a report this year that said only 4 percent had seen “a lot” of innovation by the law firms they use. 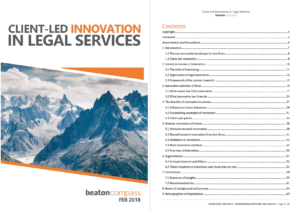 In Australia, beaton has found more than 25 percent of corporate lawyers could not name a single law firm they regarded as innovative. So, there’s clearly a mismatch between what firms are doing and what clients want. Significantly for firms, those named as “innovative” in our survey were largely not the primary firm used by the client. It’s not that in-house lawyers are reluctant to acknowledge improvements; they just feel they don’t have much to report. In another 2018 survey, 40 percent of US law firms said they were not innovating at all. When it came to testing innovative ideas, 85 percent of very large firms and only 25 percent of firms with fewer than 100 lawyers said “yes”. Also in the expert witness box was a CommBank-sponsored 2017 survey of 40 larger Australian firms. They were asked: “Which of the NewLaw innovations are relevant to your firm?” Only 25 cited something of relevance. Only one of these 25 examples (unbundling of services) related directly to clients. The rest were concerned with the cost of labour and premises. It’s not that NewLaw ideas are necessarily the be-all and end-all to be copied by BigLaw, but we do know clients are taking up many NewLaw ways such as managed legal services, outsourcing of commoditized work and fixed fees. Who won the exchange and does the answer matter? In my view, it was a draw. And, yes the answer does matter. 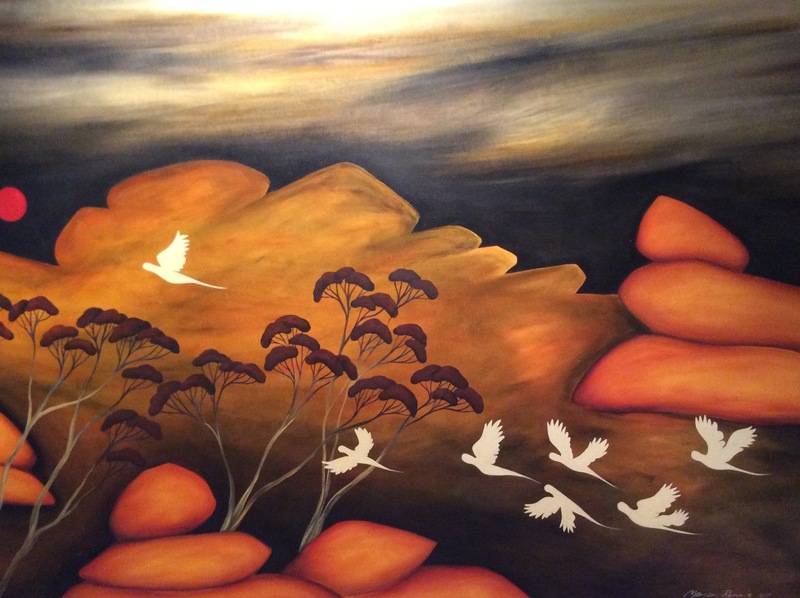 The “little/no innovation” camp is right when viewed through the lens of partners in law land. They are frenetically busy, and with little spare bandwidth and little appetite for changes that will entail altering habits that have served them well. While the leaders of BigLaw firms demonstrate an admirable commitment to listening to clients’ needs and responding, the culture in most firms make change management slow and frustrating. The “lots happening” view is right in this sense. Given the natural drive for firms to remain relevant to clients and preserve owners’ prosperity, there are plenty of examples of firms investing in boot-strapping strategies, including, but certainly not limited to technology solutions. These initiatives are hard to see from the outside and even harder to measure because the return on investment for innovation usually takes years to manifest. Innovation is an act of faith that requires courageous leaders and trusting, supportive followers. Does the answer matter? Yes, because innovations diffuse through markets; those firms who go very early take bigger risks and can incur costly failure, which fuels the “I told you so” problem. Those who leave it late may never catch up. Listen closely to your clients. Being both client-led and ready for change is the surest way to be an innovation success story. 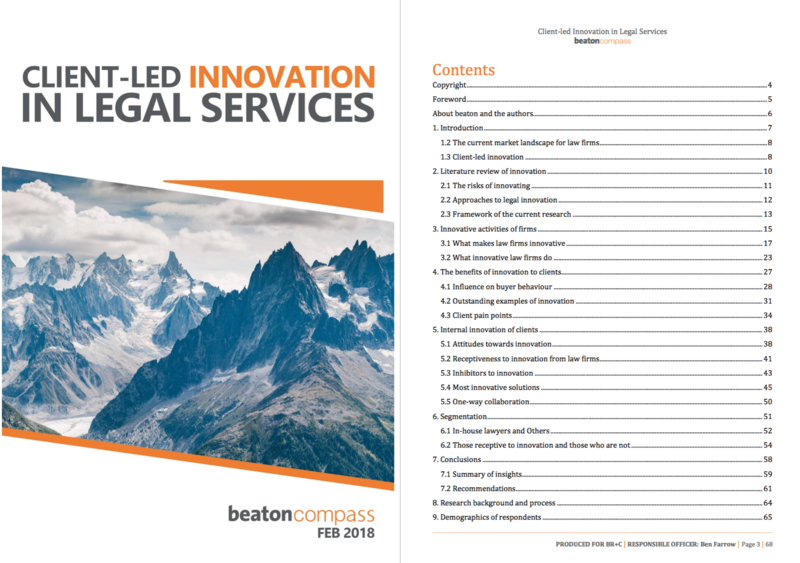 Clients and BigLaw firms don’t see eye-to-eye on innovation was first published as Law firms and clients not on same page, says top consultant George Beaton in The Australian Financial Review Legal Affairs section on August 2, 2018 courtesy of Michael Pelly, Editor. I have re-purposed aspects of the contents for readers of Dialogue.